The cocoa brown finish of this five drawer chest is embellished with wrought looking hardware in a rich patina finish. Angle cut block feet and a simply constructed case warrant a casual, rustic style. Drawers are constructed with front/back English dovetail for solidity and full extension drawer glides to make storing personal items simple. 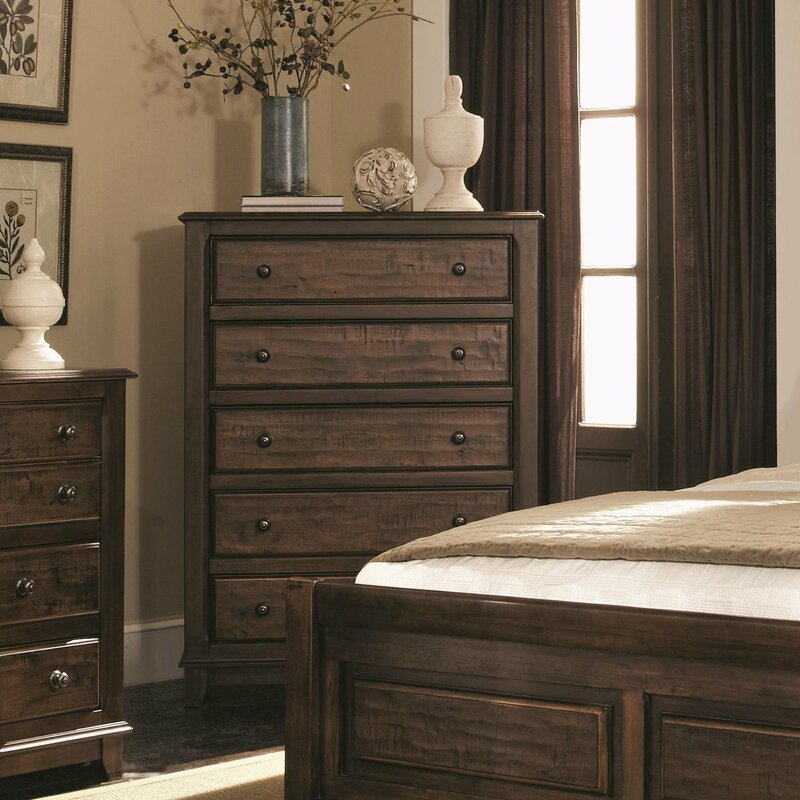 Add this chest to your master bedroom to bring in a modern, country inspired design.